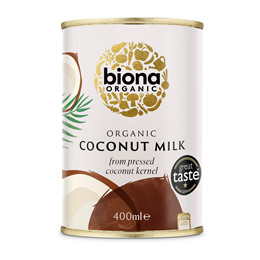 Delicious organic coconut milk from pressed coconut kernel, with a ring pull for easy opening. As this is a natural, organic product without any artificial stabilisers or additives the coconut fat and water content can separate. This has no impact on the final quality of the product - simply shake the can or blend the contents to recombine. 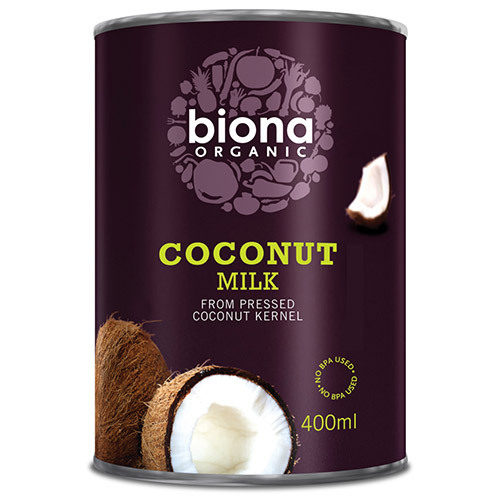 Below are reviews of Biona Organic Coconut Milk - 400ml by bodykind customers. If you have tried this product we'd love to hear what you think so please leave a review. Best coconut milk for all purposes.